How can resident ambassadors help connect SNAP customers to local farmers' markets? 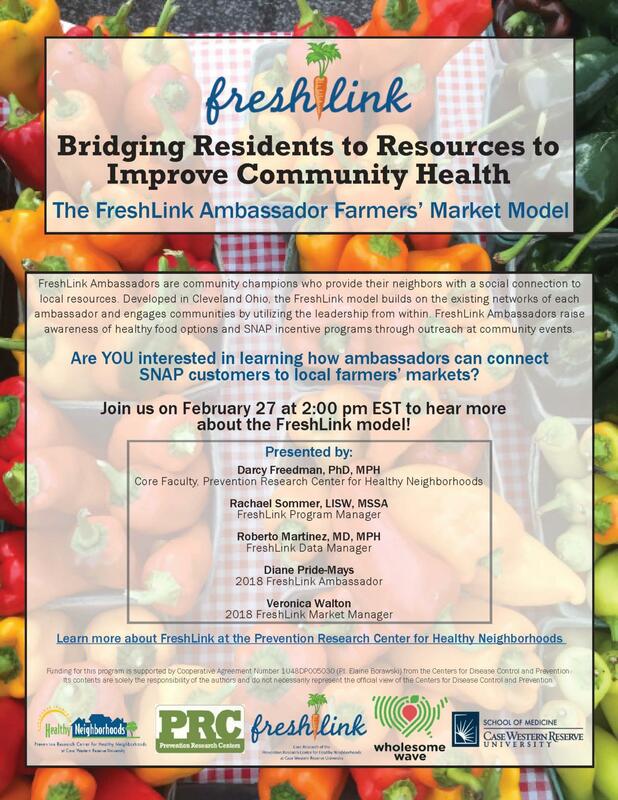 The PRCHN's core research, FreshLink, will share its proven community ambassador model through a national webinar on February 27, 2019. FreshLink Ambassadors are community champions who provide their neighbors with a social connection to local resources to raise awareness of healthy food options and SNAP incentive programs. The webinar will provide an overview of the steps necessary for organizations to create their own ambassador program and facilitate increased SNAP use at local farmers' markets.